Some time ago I was fortunate to be able to attend a professional development workshop run by Professor Jeffrey Kottler, an academic visiting the U.K. from California State University on the west coast of the U.S. Professor Kottler, an experienced therapist and educator of the next generation of counsellors in the States had a take on the therapeutic process that immediately rang true with me even though I had not up to that point devoted much thought to it. Our lives, Kottler stated, are our stories. 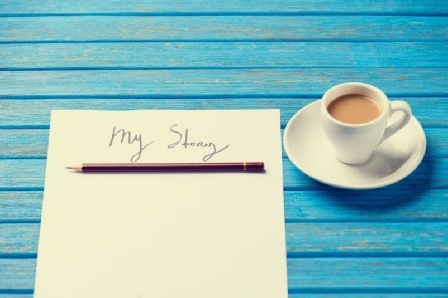 The job of the psychotherapist is to make sense of our clients' stories with them, and to assist in the positioning of the client so that he or she can effectively author - within their limitations - the next part of the saga. This struck me as quite a straight-forward statement at the time, yet having reflected on it since I have come to appreciate the power of the image Kottler was conveying. I have realised through my time spent with clients that we are all, in our own way, engaged in activities that will hopefully make the present situation better for ourselves and those we care about, while at the same time trying to make sense of what happened then or why we reacted the way we did on that day. Some people that I counsel have lived through difficult chapters - some through harrowing ones. Some people are haunted by shame, others by grief. Some have been deeply unsettled by the pages written by others when they were too young to even write their own name unaided. I have learned that a lot of people do not show what is written inside the book of their life story too readily. There are perhaps some things within that we fear we may be judged for. Or maybe some paragraphs are present that may cause us to be thought badly about. Some dreams may be ridiculed if we share them with others, and some truths are kept close because they would hurt others deeply if they were ever shown the light of day. Kottler felt that through a relationship with a professional therapist, people whose stories are not sitting well with them could be assisted to find new meaning in challenging times. Perhaps not to completely re-write the story, but to look at the past from a different angle that would allow the future to be authored in a different tone. I would agree with him, and this has certainly been my experience in counselling clients at a hospice for children and young people. In engaging in a working alliance with a mother or father of a child who is no longer loved in their presence, but rather in their absence, the search for how to go on writing when all seems lost has at times been heart-breaking. The story, however, has not finished there. I have witnessed on many occasions the rising up of a resolve to finish the book well in honour of a loved one. It seems that resolve can empower those who are left behind to pen some truly inspiring words. Whether you look back at some parts of your story so far with disappointment, embarrassment or indifference, I guess the fact is that we can all slowly choose to look positively at what comes next, if we truly want to. We might not have an eraser with which to delete undesirable passages, yet perhaps coming to terms over time with what happened in the pages that have gone could be the next best thing.